A man was arrested by Casper police after he was found to have had too much to drink. 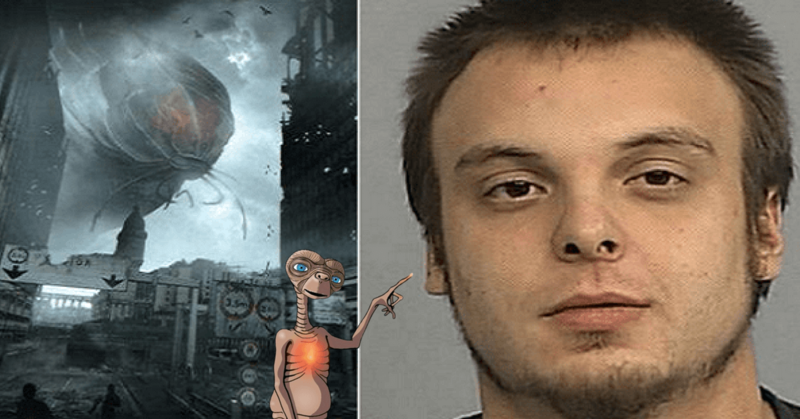 The man then told police that he was a time traveler and aliens had filled his body with alcohol. JOHNSON CLAIMED TO BE FROM THE YEAR 2048. Police arrested Bryant Johnson on October 2 when they were sent to a street and found him standing in the road saying that he had come from the future and that he was there to help people. Johnson said that he had time traveled from the year 2048 and said that he wanted to warn people that aliens would arrive the next year and that the people should leave as soon as they could. He then said that he wanted to talk to the president of the town and went on to tell police that he was able to time travel because aliens filled his body with alcohol before standing on a huge pad that transported him to 2017. He went on to say that he should have been transported to 2018 but had ended up landing a year earlier. Police said that Johnson had bloodshot, watery eyes and his speech was slurred and a strong smell of alcohol was coming from him. He was taken to the emergency room, but it was then said that he was causing a disturbance there. Police gave Johnson a breath test, and it revealed that his blood alcohol content was.136 and he was arrested for being intoxicated in public. MANY THINK TIME TRAVEL IS POSSIBLE, BUT NOT CASPER POLICE FORCE While police clearly did not believe that Johnson had traveled in time, it was recently revealed that a leading astrophysicist said that time travel is possible. He also revealed how astronauts could time travel. Talk of time travel is nothing new as it was Albert Einstein who first proposed traveling at the speed of light going away from Earth would slow down time for the person traveling, and people on Earth would see time at the normal rate. Many physicists claim that time travel is not only possible, but it has already occurred. It was said that astronaut Sergei Krikalev is in the future by 0.02 seconds after he spent 804 days in space thanks to time dilation. Of course, if Johnson had met aliens in the future and they had the superior technology then perhaps time travel is commonplace in 2048.